Did you know you can help raise money for Mercy Ministries just by liking someone on Facebook? Anderson Hill Consulting is a Nashville business that specializes in remodeling homes. Owner Eric Poulin, saw a connection between what he does with homes and what God does in the lives of young women through Mercy Ministries. Both take something empty and broken and make it clean, new and beautiful again. Eric came to the Nashville home for a tour recently and decided to do something special to help raise awareness and funds for Mercy. Eric set a goal to raise $1,000 for Mercy Ministries in the month of February. Anderson Hill Consulting will donate one dollar for every new fan they get on their Facebook page in February, up to 1,000 fans! There are only a few days left, so tell your friends, tweet about it and definitely go to their Facebook page HERE and click on the “like” button. It couldn’t be any easier to raise money for Mercy. One click equals one dollar! Special thanks to Eric Poulin, Anderson Hill Consulting, and all their fans! The program is always free for every girl who comes to Mercy, and it is because of supporters like you! To find out more about how to help the hurting young women at Mercy Ministries have their lives transformed and hope restored, CLICK HERE. 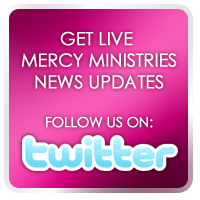 And by the way, you can “like” Mercy Ministries too. Check out our facebook page and give us a thumbs up!